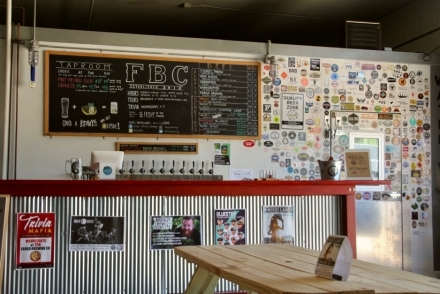 When we’d left Drekker Brewing Company their taproom was quiet. 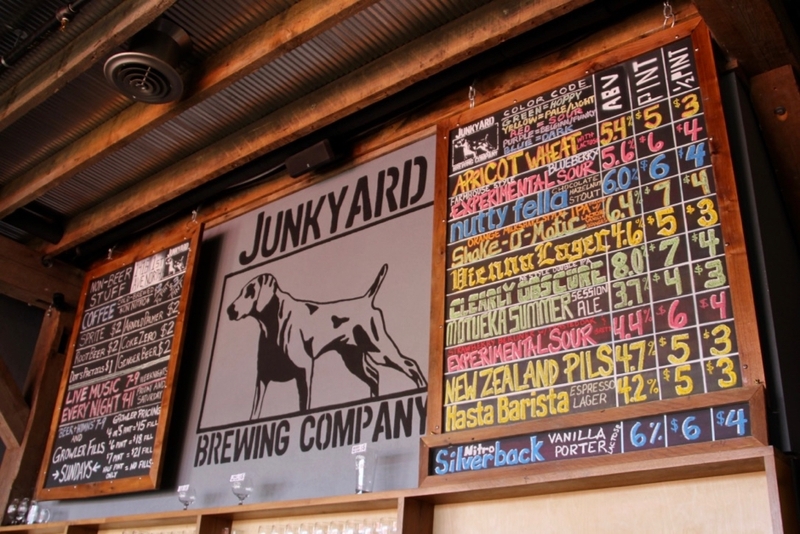 Junkyard Brewing was anything but. They are located on 1st Avenue, one of the main thoroughfares between Fargo and Moorhead. Their patio spills out onto the concrete apron in front of the building and butts right up to the sidewalk. Maroon cinder blocks stood out against the drab industrial area that surrounds them and popped against a rich backdrop of green trees. We muscled our way in and took a spot in line near the bar. 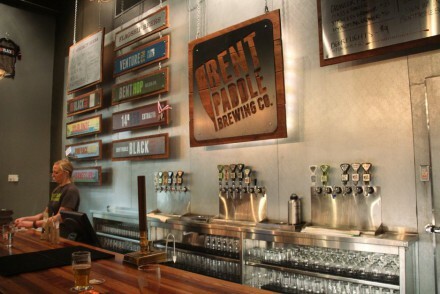 After ordering a pint we slipped onto the end of one of their community tables right underneath an open garage door. There was no way we were going to find a spot on their busy patio, but our seat was just as good. Each patio table has a red umbrella which created a perfectly shaded canopy. It was late spring but with mid 70s weather it was giving everyone a taste of summer, and a multitude of patrons were taking full advantage. The scene was quintessentially Minnesotan. 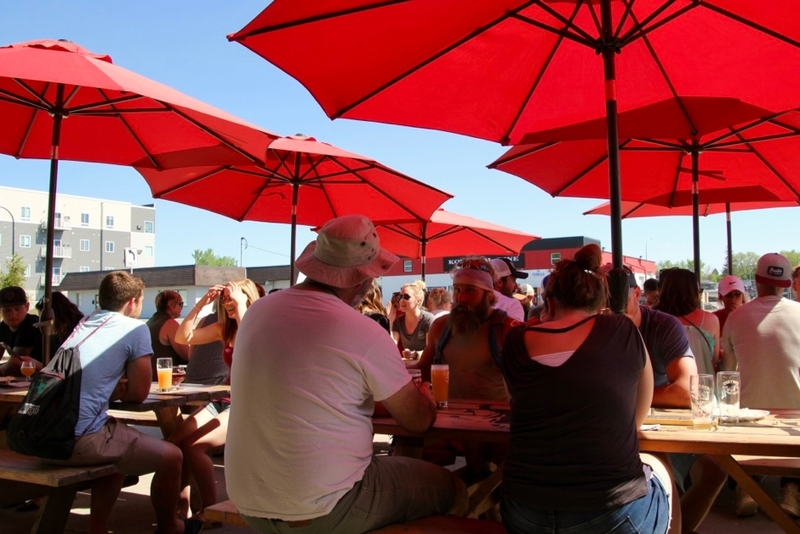 We wait out a long cold winter, get a short reprieve in the spring, and as soon as it gets warm enough people are flocking to the closest patio for a heavy dose of Vitamin D. I wouldn’t have it any other way. Ok, I’d rather the winter be a little shorter! Soon after we sat down, I texted my coworker Riley and let him know that we had arrived. I’ve worked with him for over ten years and for the better half of that he’s lived and worked from Fargo. He’s not a heavy craft beer drinker, and Mitch and I were shocked to learn that he’s never been to any of the breweries in the area. 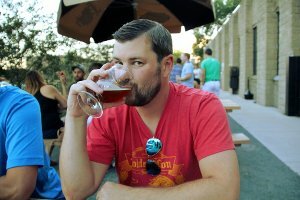 After we gushed about both Junkyard and Drekker I hope he realized how lucky he is to be in an area with two fantastic breweries. With the late afternoon sun at my back I dove into the beer. I purposefully avoided brews I’d tasted back home and that resulted in me having glasses of Nutty Fella Chocolate Hazelnut Porter, Hasta Barista Lager, and Experimental Strawberry Sour. The Nutty Fella was just as described. The chocolate and hazelnut were balanced excellently. Hasta Barista was an Espresso Lager. I’m a sucker for beers that don’t taste like they look and this one fits that bill perfectly. It was deceivingly heavy on the espresso flavor and aroma with a decent amount of complexity underneath. My notes say that I got “lost in it” which should be taken as high praise! 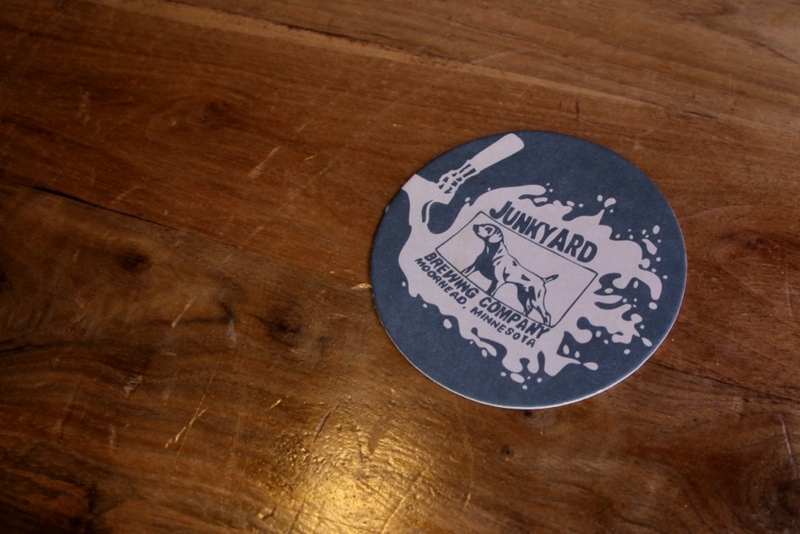 It was my favorite beer from Junkyard. 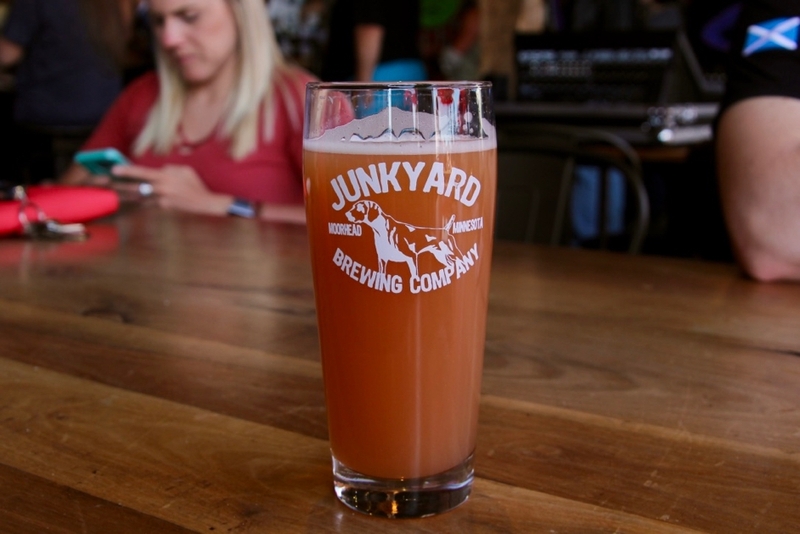 Coming out of Drekker I think I was still chasing that sour high and so I finished with Junkyard’s Experimental Strawberry Sour. I was a little disappointed, just too much tartness for my palate. The taproom had a backwoods feel to it. 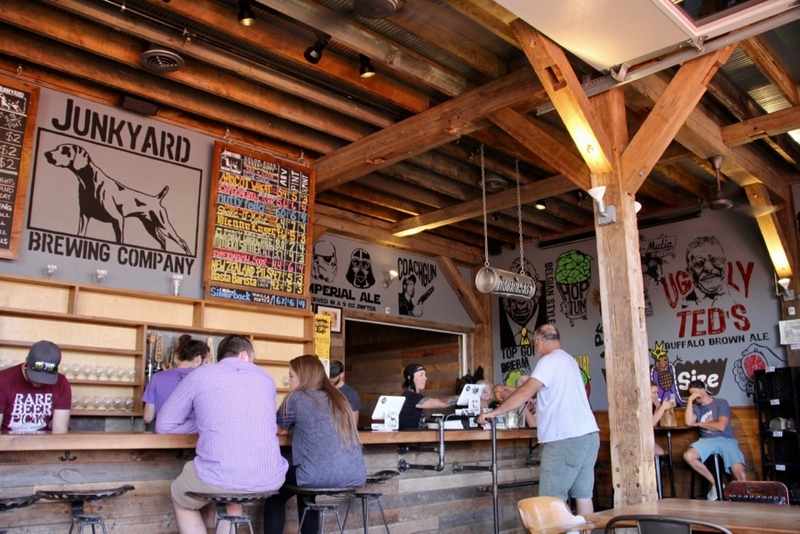 There are wood joists and beams, wood tables, and a wood bar with tractor seat stools. 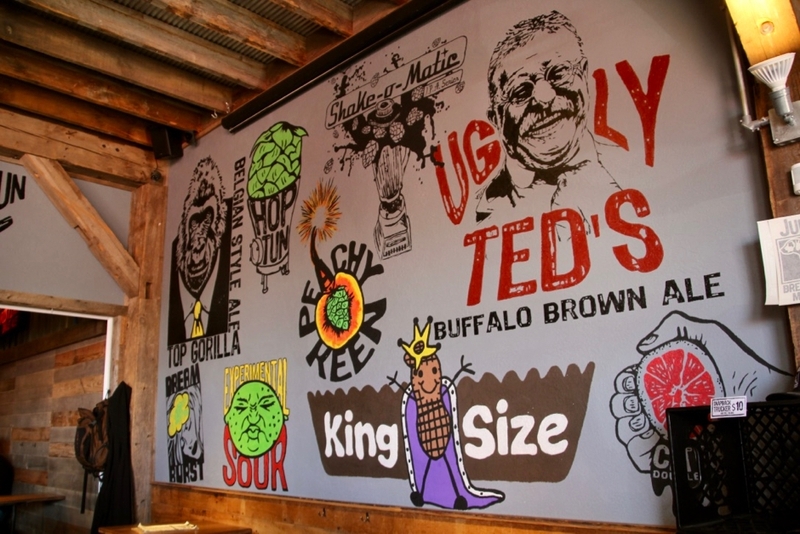 Every wall was covered in miniature murals that represent each of their beers. This is a lot different than other taprooms I’ve been to and it was nice to see large versions of the logos that I’d seen on so many cans prior to our visit. The easy favorite was the little peanut king! 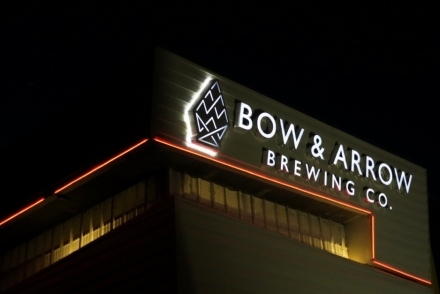 We sipped on our beers and visited for several hours before calling it quits. 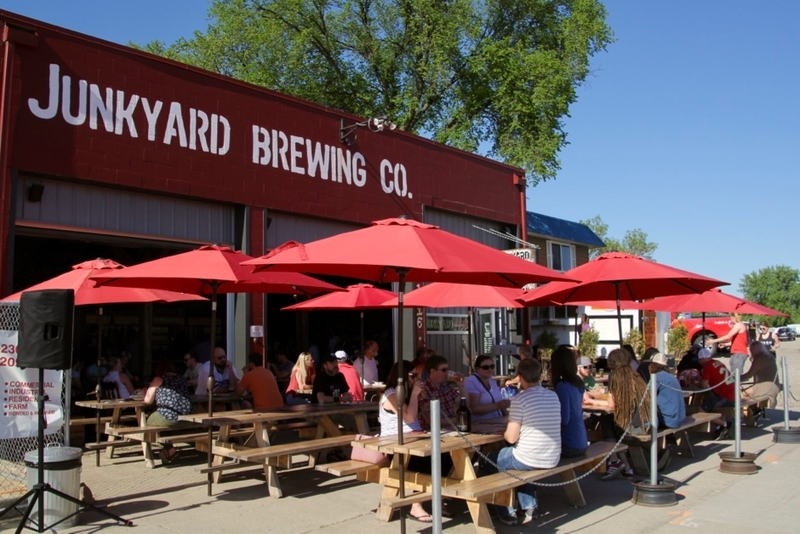 Of the three breweries in the Fargo-Moorhead area that we visited Junkyard was my favorite. While their beer wasn’t quite as good as the beer I had at Drekker I really think it’s a toss up between the two. If I lived in the area I would be bouncing between them quite regularly. Their was an unbelievable energy to the place. This was aided in large part by the younger crowd that brought their children and dogs out in force. 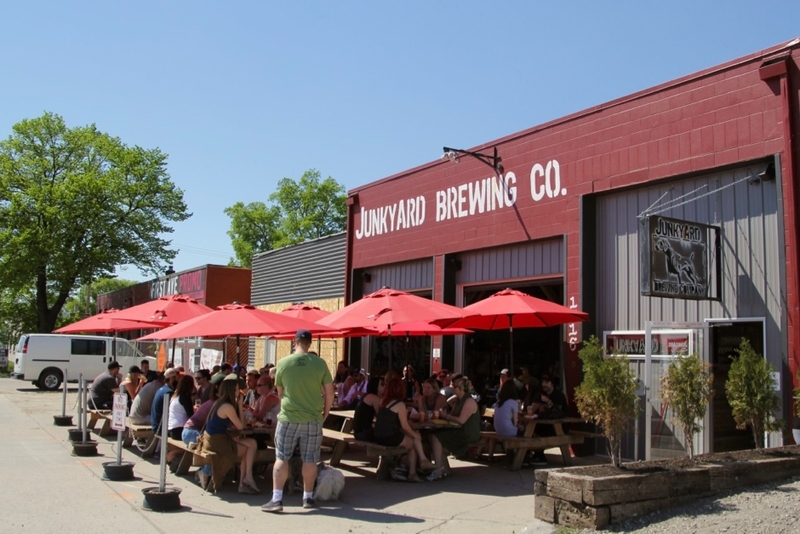 I’m happy that Minnesotans can call Junkyard Brewing Company their own. I just wish they were closer to me!